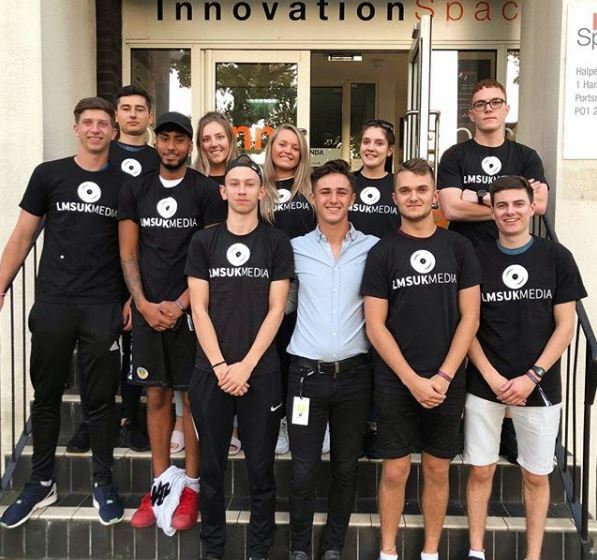 Alumni and entrepreneur, Josh Robinson, has thanked Havant & South Downs College for kickstarting his journey to success with his company LMSUK Media. Josh started his path on a BTEC Level 3 Extended Diploma in 2015, after realising that his hands-on skillset was better suited for a Vocational course. This was how Josh began LMSUK Media. The company provides promotional services to bands, DJ’s and artists across the South Coast. Josh continued to say that he noticed a gap in the market through market research. A lot of the young people of Portsmouth were travelling to Southampton to listen to techno music – this was when Josh created his outhouse brand. “Our outhouse brand has done really well, we started in little venues and very soon we had more than 100 people queuing to get in. Josh added that the skills he learned at HSDC helped him succeed in the real world of business. As well as running his own business, Josh is studying a degree in Business at the University of Portsmouth. Offering some words of wisdom to future College students, Josh said: “My advice to year 11’s when looking and choosing your option – do not go where your friends go. Don’t let that affect you, I’m still in contact with those friends now but I didn’t let their decisions sway my opinion.